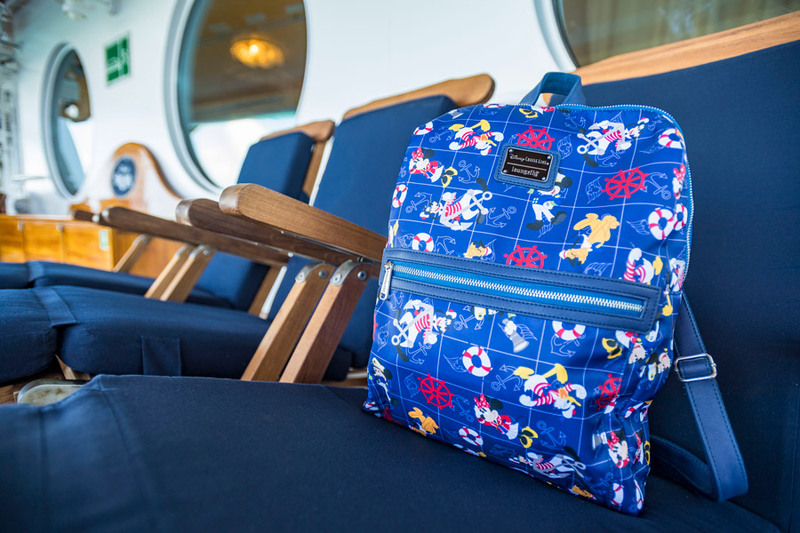 Disney Cruise Line is now offering a huge new collection of merchandise featuring some of your favorite Disney characters. The Characters Ahoy collection features more than 50 unique pieces for the whole family. 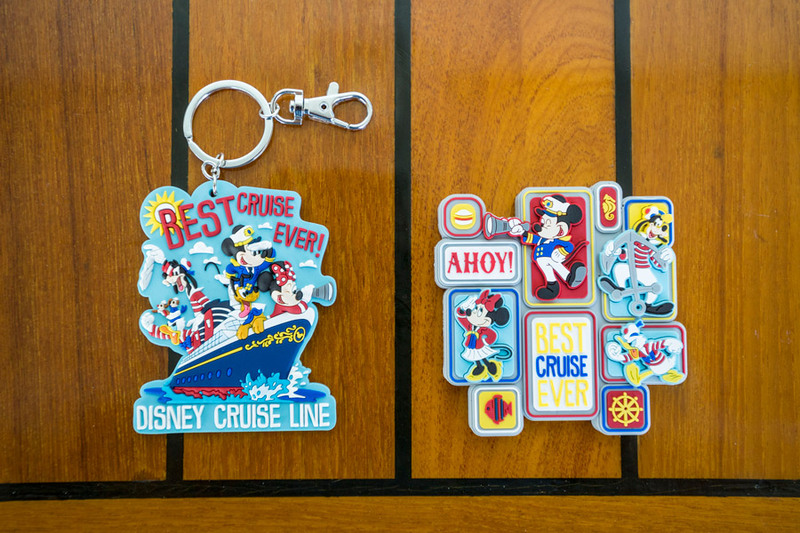 The Disney Parks Blog has shared a small sample of the collection. 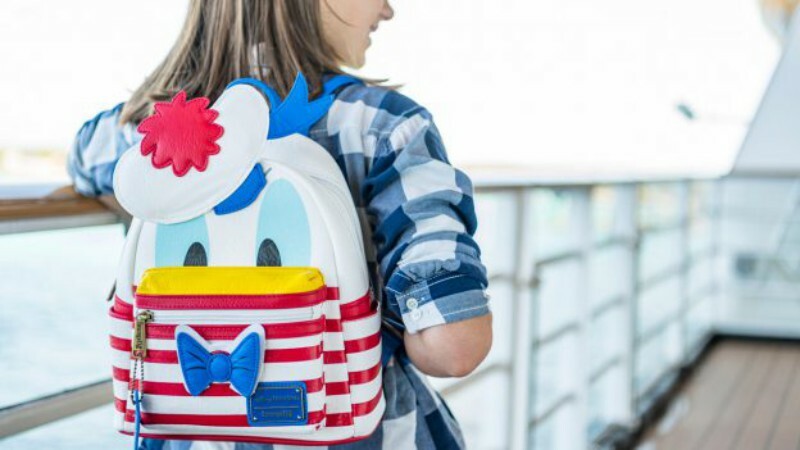 First, look for these stylish backpacks from LoungeFly featuring Donald Duck and the rest of the gang. Next, take a look at these key chains and magnets featuring Mickey Mouse and his pals. They make great gifts for the folks back home. 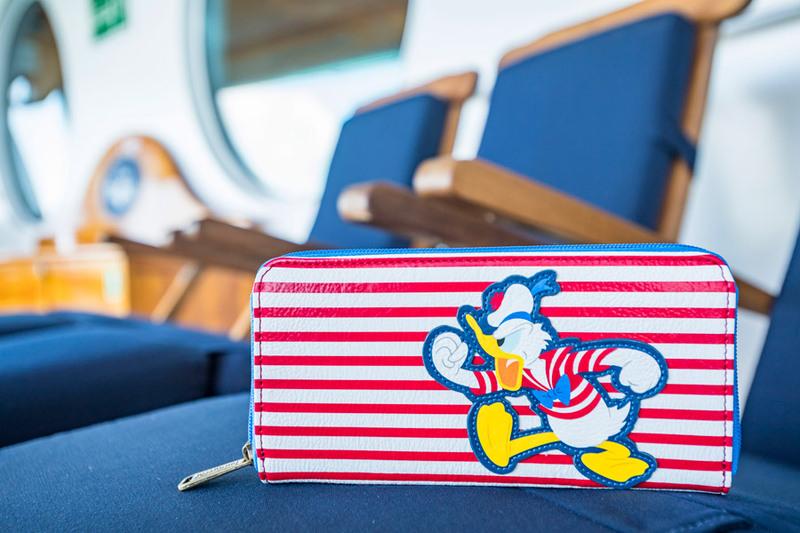 Donald is back on this new fashionable wallet! 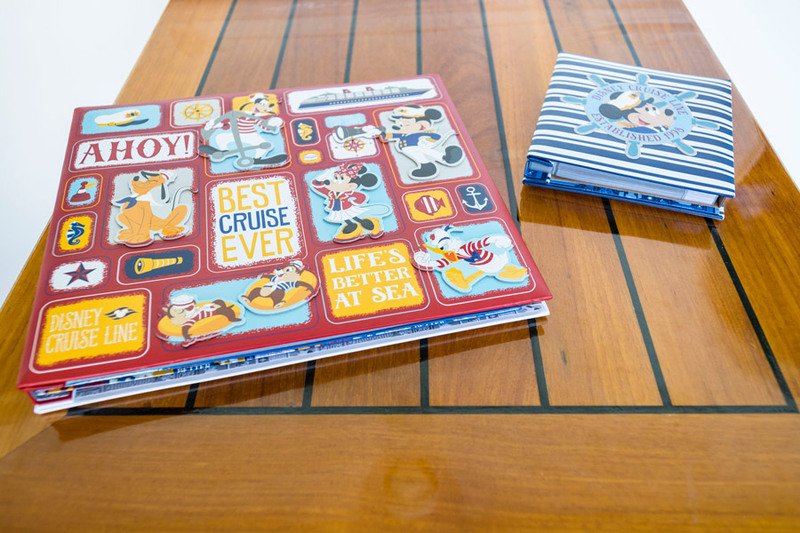 To help remember your Disney Cruise Line vacation, grab a new Scrapbook Kit or Photo Album featuring the famous Disney characters. 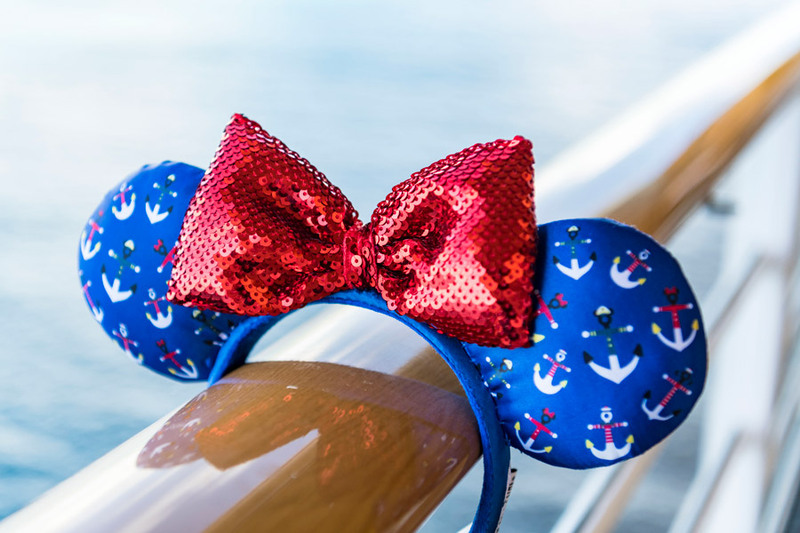 Finally, throw on these stylish Minnie Mouse ears featuring anchors themed to several of the Disney characters. The collection also features clothing and accessories, home goods, and other gifts. 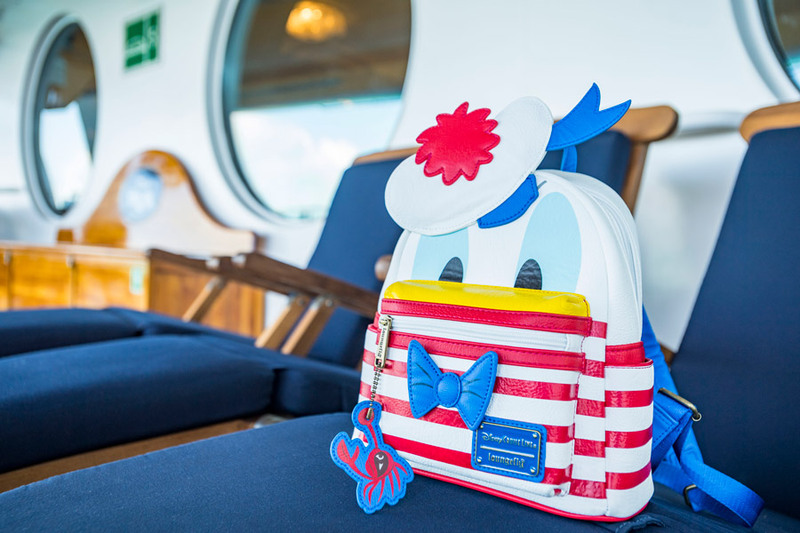 Look for the Characters Ahoy collection on your next Disney Cruise Line vacation.